Welcome to Needle and Thread Thursday, y'all! Isn't the feeling that the weekend is almost here just awesome? I don't know what it is, but as soon as Wednesday's work day is over, I start feeling the downhill slide of the week and the weight on my shoulders lightens up a little bit. 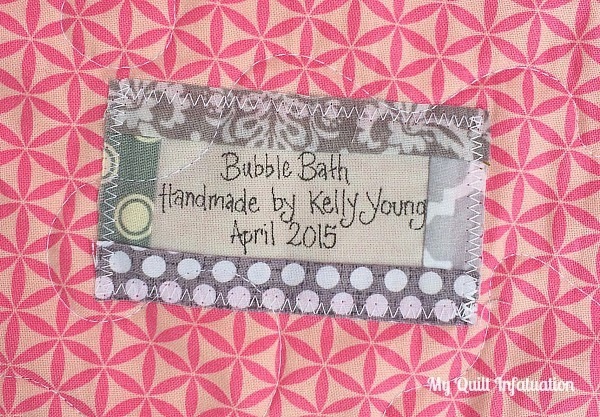 I have been madly working on my Bubble Bath quilt pattern, and it is almost finished. eek! I can't wait to release it! In the midst of that though, I sewed up this little preemie quilt to donate to the local children's hospital. I'm sure you recognize those little bits. 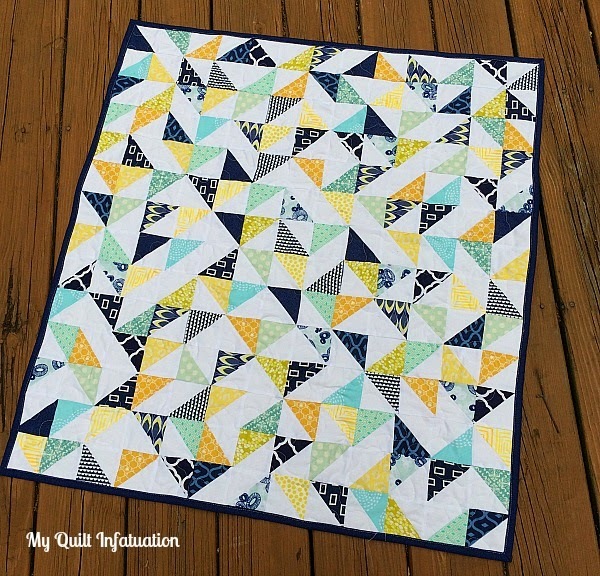 They're the leftover triangle corners from my Sunny Skies quilt. Since I ordinarily just throw these away, I'm feeling pretty good about turning these scraps into something so fun! This little quilt is only about 32 x 36 inches. I backed it with the same aqua dot that I used on Sunny Skies, and used the navy to bind it. 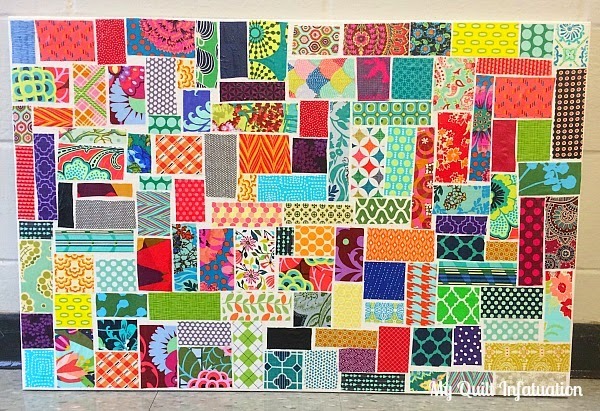 Last week's party was full of spring quilting inspiration! Maryse Makes Things showed off her finished granny square quilt. 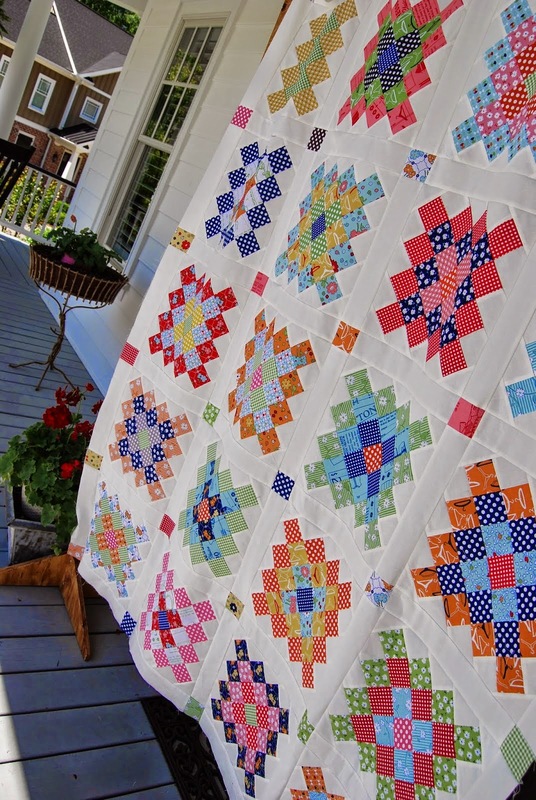 The quilt and the photos are just gorgeous. Doesn't that photo make you want to curl up in that hammock with that beauty? 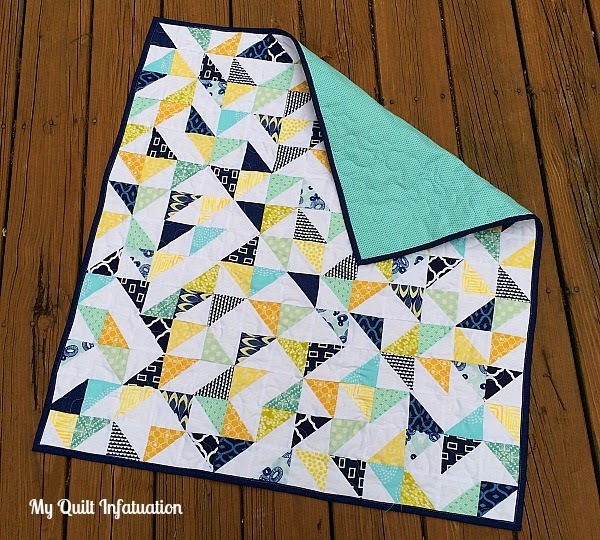 Cheryl at Meadow Mist Designs shared several WIP's, but my favorite of them is her soothing Sea Star quilt. 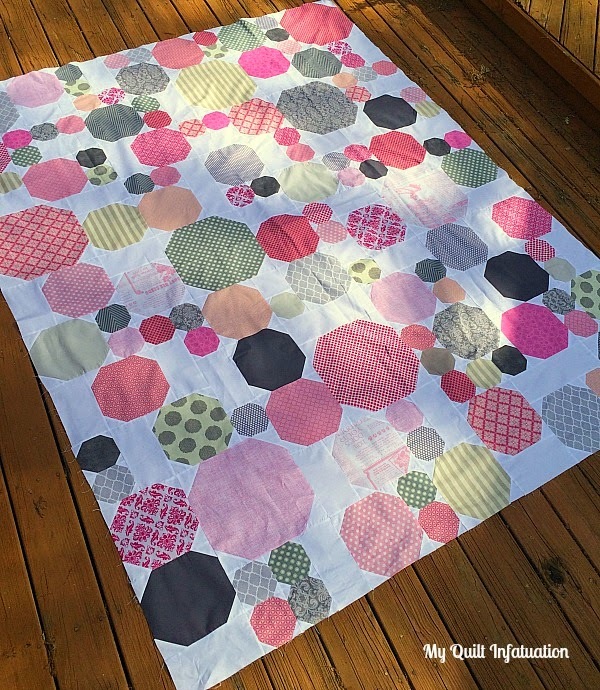 and finally, Julie at Pink Doxies linked up her latest HST quilt, as well as photos of her new sewing space. Love the colors in this one! Seriously, you have no idea how much inspiration you give me week after week! Time to continue the awesomeness! 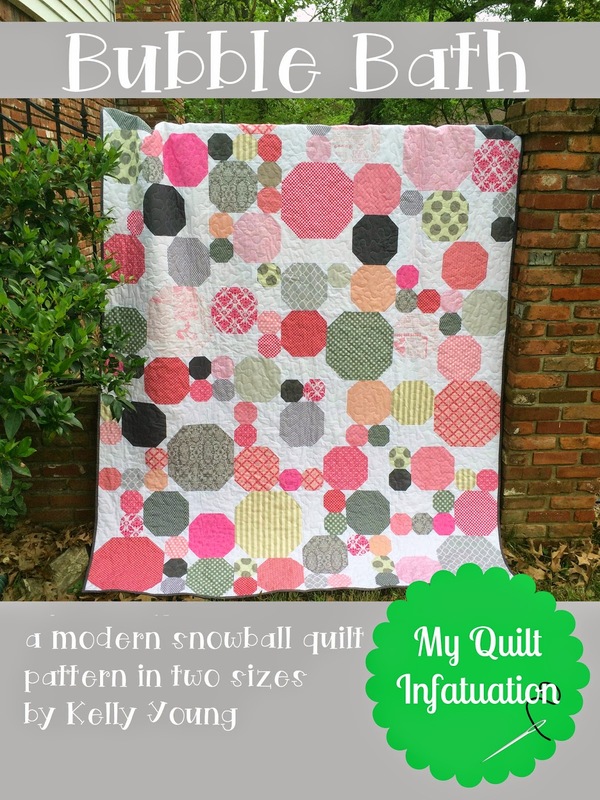 I am so excited to share my snowball quilt finish with you! The more I worked on this quilt, the more I loved the design of it; so much that I've actually started writing the pattern for it in lap and twin sizes. 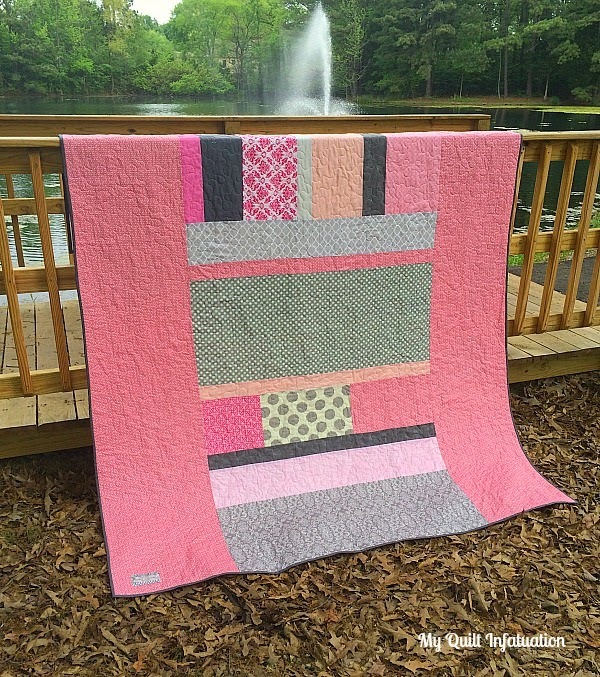 Believe it or not, of all of the baby quilts I've done over the years, I've never made a pink and gray one. Calling it a baby quilt is a bit deceptive, because it is actually a twin size (72" x 92"), but it is going in a nursery. 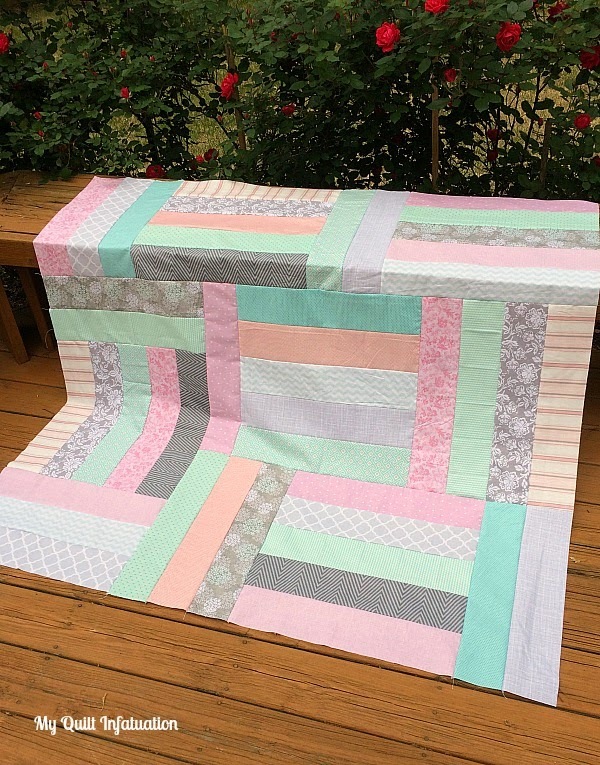 Almost all of the scraps went into the backing, plus some wide stripes of my favorite pink from the quilt. The pink tonal orange peel print is too cute, and the photo of the label shows it really well. I decided to use the softest gray (Kona Shadow) for the label, rather than white. I thought that the floating pink and gray snowballs looked like bubbles, and since this was made with a baby girl in mind, I decided to name it Bubble Bath. 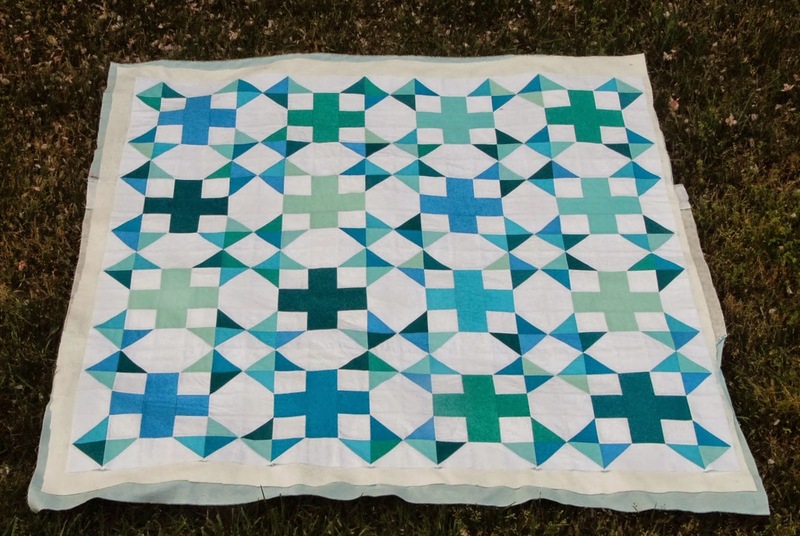 The design of this quilt was kind of a different process for me. Usually I set out to design a block that looks pretty and makes a secondary pattern when they are put together. 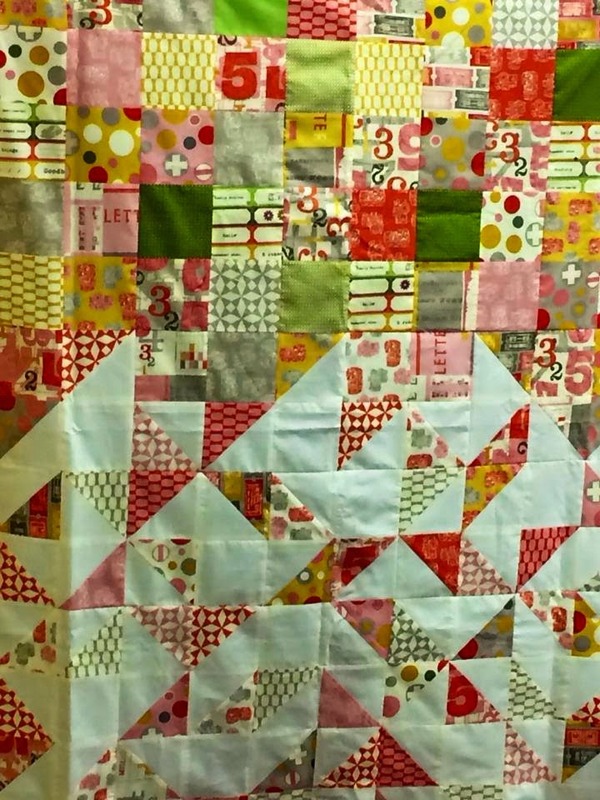 This quilt started with an idea for the snowballs to "float" across the quilt like bubbles, so the quilt was designed all at once, versus designing a single block. I had to play around with it for awhile before I was happy with it, but I think the illusion is successful. My very favorite fabric in the quilt is one that I almost didn't use at all. 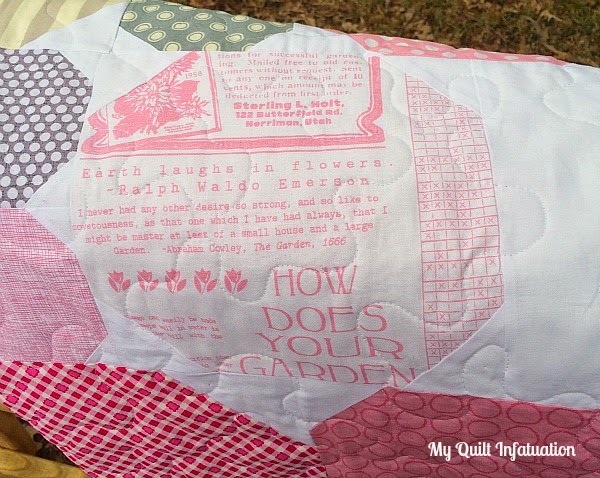 This Riley Blake pink and white gardening text print is just awesome, and I think it adds a perfect whimsical touch to the quilt. 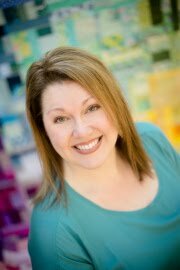 It's called Flower Patch Words by Lori Holt. I really worried that the white background would be too light, and that those snowballs wouldn't show up very well, but I'm glad I went ahead and used it. "Earth laughs in flowers." Isn't that just a wonderful quote? The fabric is full of gems like this, and I think I might have to get more of it since I used every last bit. I am delivering this quilt to its new home this evening, then I can really get down to business on the pattern. Yep, you read that correctly. 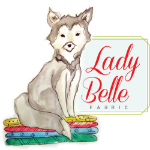 I have not one, but TWO fantastic giveaways in this post, from TWO awesome fabric shops. You don't want to miss out on them, so read on! 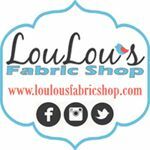 I've decided to start something new to bring my readers the latest and greatest deals in fabric. 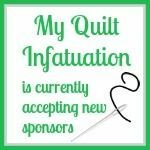 I am partnering with my sponsors to bring you special coupon codes, promotions and (sometimes) even giveaways, all in one monthly post. I hope that you find them helpful, because when it comes right down to it, don't we all need a little more fabric on sale? Yes, I used the word need. I have a loose definition of that word when it comes to fabric, and I'm okay with it. So, let's kick it off, shall we? 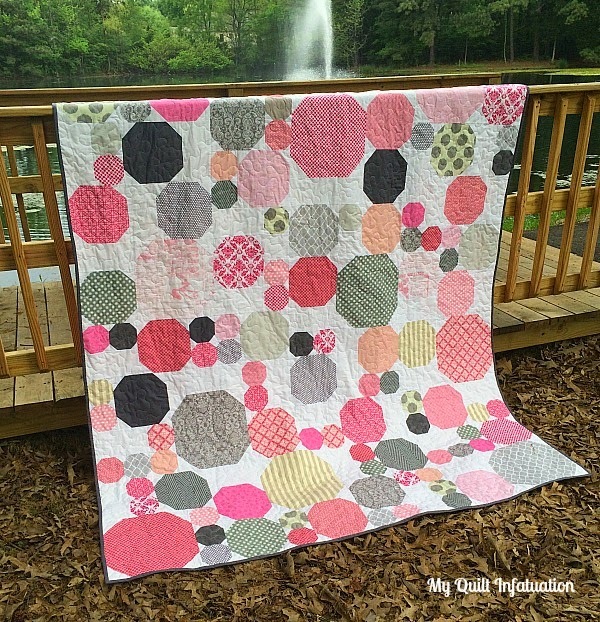 Ambleside by Brenda Riddle Acorn- Bundles, precuts, a quilt kit and select yardage available. 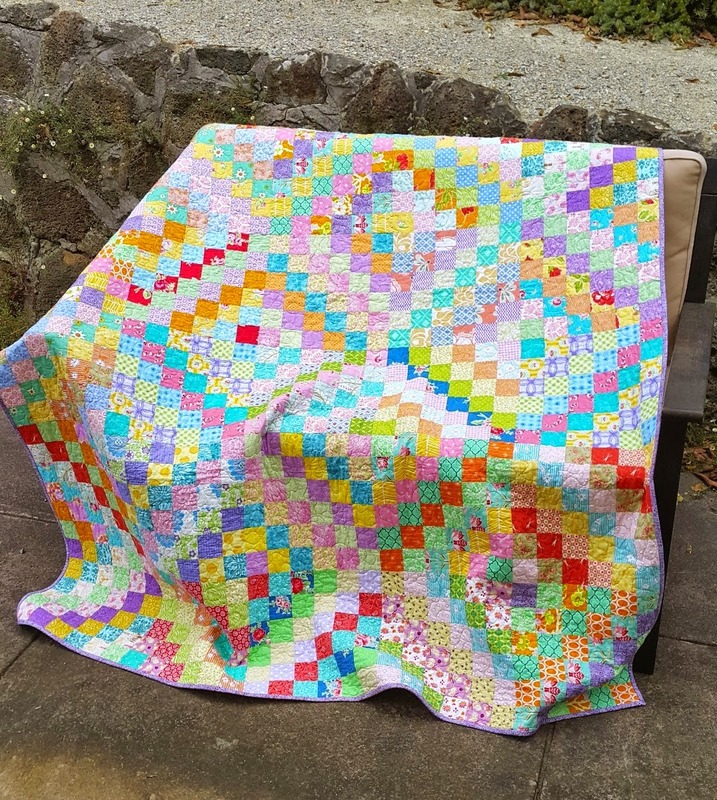 Fantasia by Sara Lawson- bundles and yardage available. 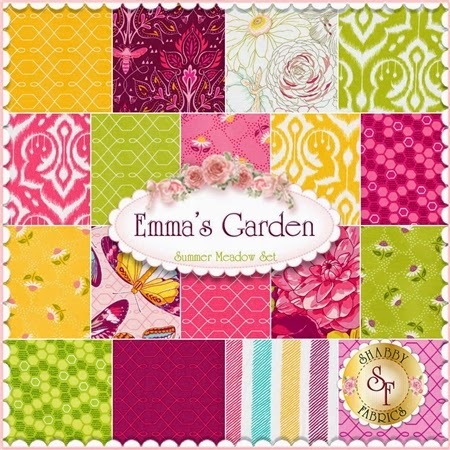 Elizabeth by Tula Pink- available in half yard and fat quarter bundles. 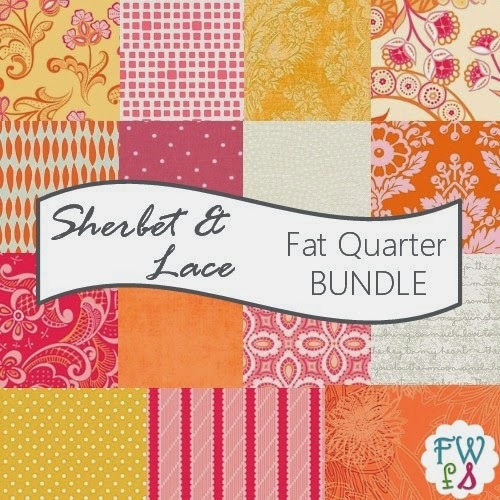 There are also some great deals on select fat quarter bundles happening right now! Check out these bundles on sale! 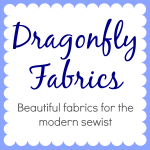 Dragonfly Fabrics is also offering a special coupon code just for my readers! 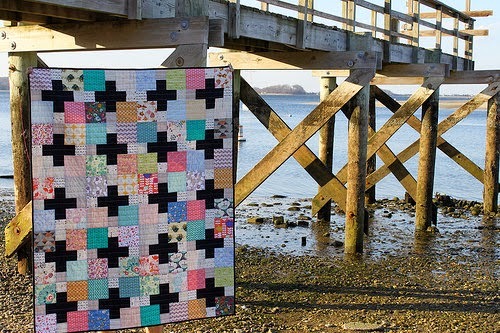 Use the code QuiltLove20 at checkout to receive 20% off your purchase through April 19th! 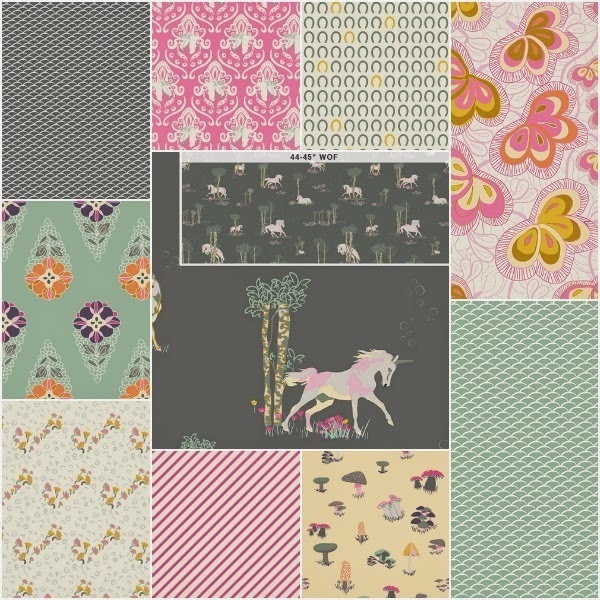 They have lots of great new fabric lines in, like Fantasia by Moda, and Priory Square by Art Gallery Fabrics, just to name a couple. Click HERE to see all of their new lines. 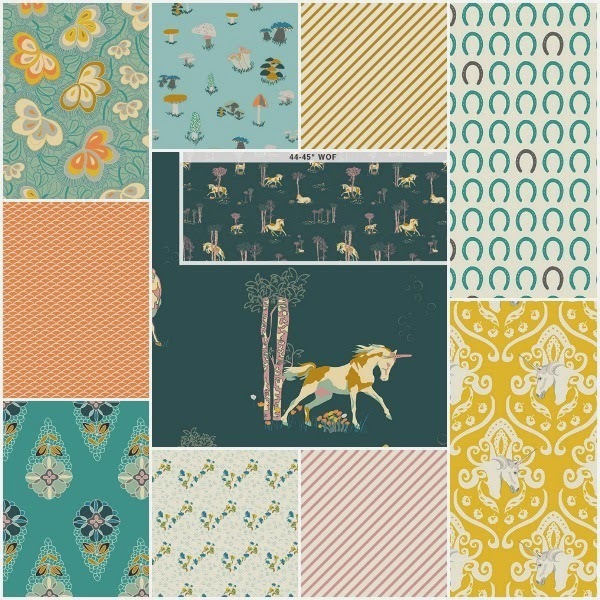 Dragonfly Fabrics is also home to a weekly sale! Right now, the entire Arizona line is 15% off. Just use the code Arizona15 at checkout through April 26th. 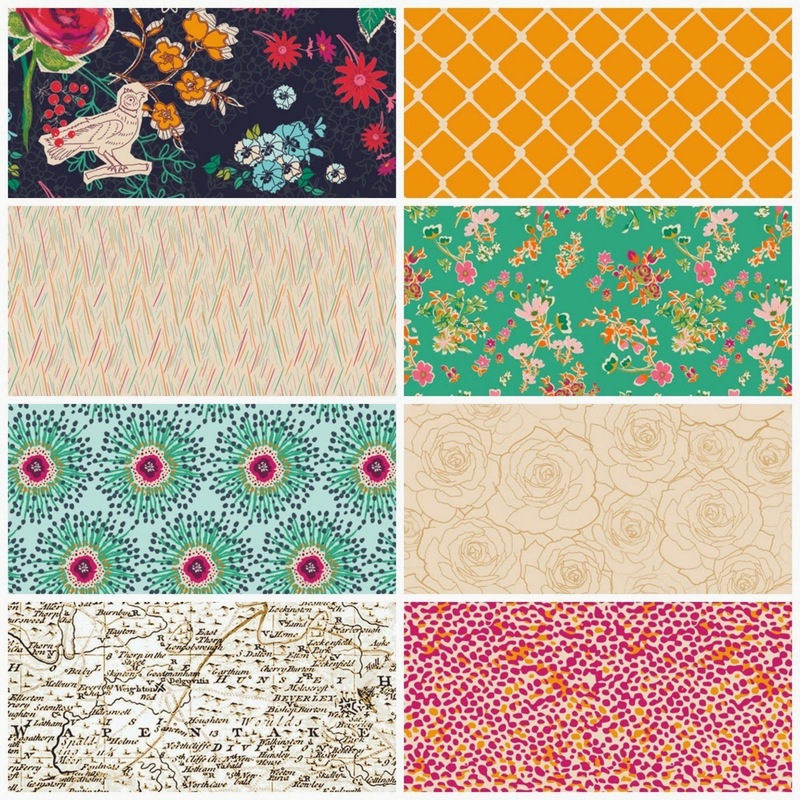 Check out their other fabric lines on sale HERE (and there are a bunch of them)! 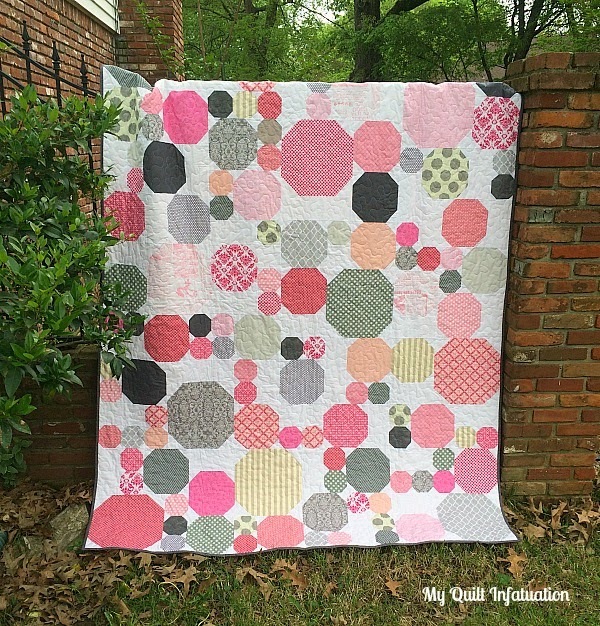 Shabby Fabrics is sponsoring giveaway number one! My kind friends at Shabby Fabrics are offering a $30 gift certificate to spend however you choose. You really have to pop over to see what's going on there. Right now, they have several new collections, like Luna Lounge, Ambleside, and Veranda. If you've never shopped with Shabby Fabrics, let me just tell you that you can get lost in their sale section. It is huge! 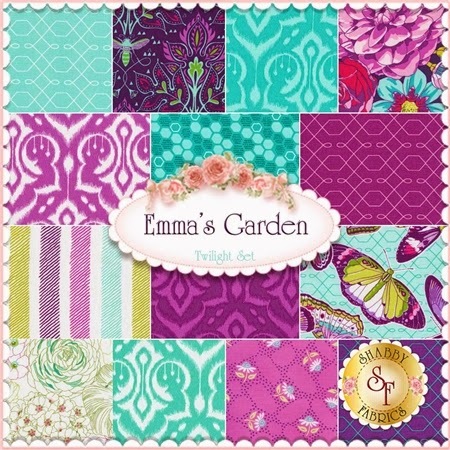 Right now, several beautiful fabric lines are on sale, including Origami Oasis and Emma's Garden...LOVE! On their sale items, Shabby Fabrics offers a "buy more, save more" discount. 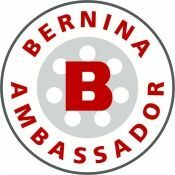 If you purchase one, you receive 10% off, two- 20%, or three- 30%! You can also rack up loyalty points for each purchase which translates to a discount on future purchases. Check it out! 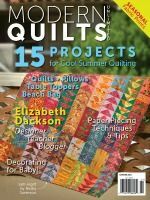 If you love quilting with coordinated bundles, Fort Worth Fabric Studio offers bundles that you can't get anywhere else. 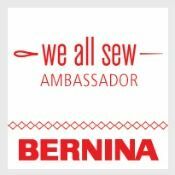 They pull fabrics from different lines that go together beautifully, so all of the guesswork is done for you! I just love the way Fort Worth Fabric Studio organizes their sale page. 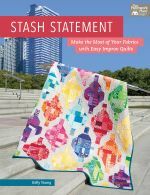 Instead of categorizing their sale fabrics by percentage off of the regular price, the fabrics are organized by the sale price per yard. That makes it easy to shop while keeping the actual cost in mind. 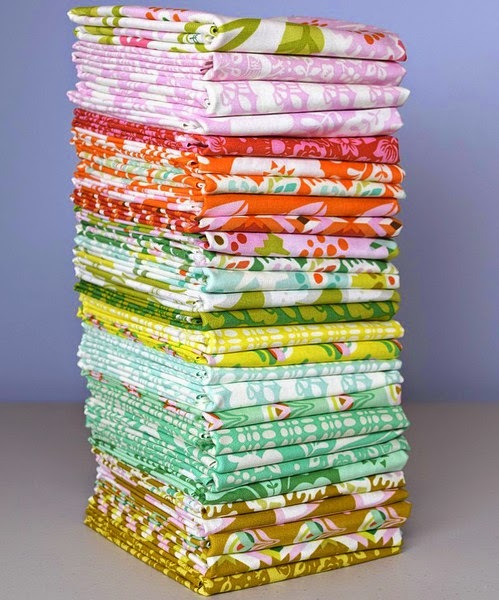 Right now, they have Miss Kate, Happy Flappers, Fancy Free, and Horizon marked below $7.00 a yard (and that's just a few)! 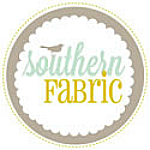 Southern Fabric is home to the Daily Deal, and it is often a very deep discount on a great fabric line! 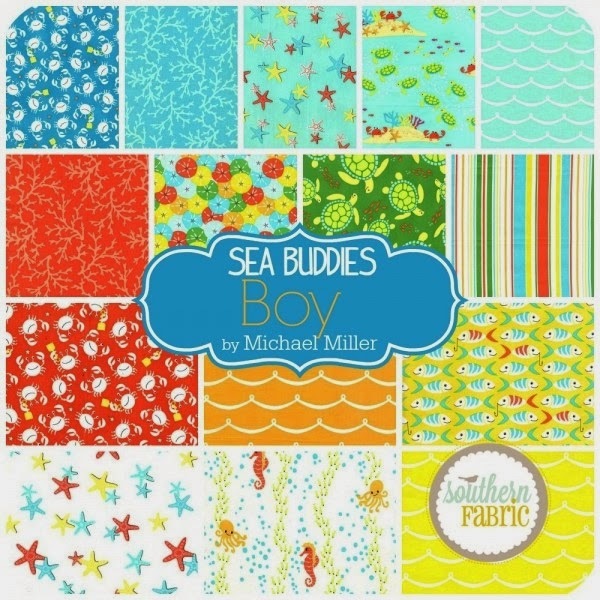 Right now Southern Fabric has lots of new fabric lines in, including Sea Buddies, which gets me in the mood for summer, as well as Anna Maria Horner's Folk Song. Their sale section is certainly not lacking! 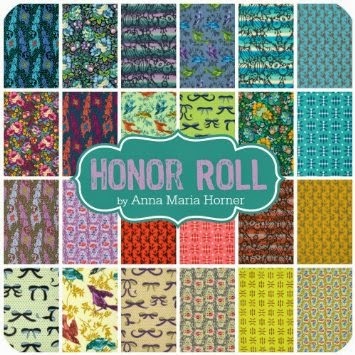 A couple of my favorite lines on sale are Violette by Amy Butler, and Honor Roll by Anna Maria Horner. Check out all of their awesome sale items HERE. One thing I always love about Southern Fabric is that shipping is always $5, and free for orders over $150. They ship internationally as well, so be sure to check them out! 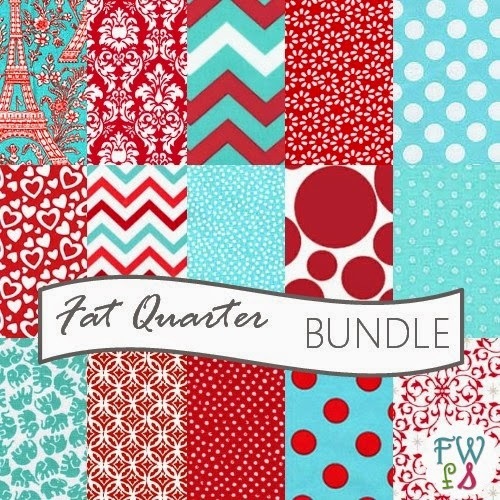 Last, but certainly not least, is Fat Quarter Shop. They have such a huge collection of fabrics, patterns, kits, and notions that I could spend hours browsing all of it. They are also home to several clubs and choice bundles from great bloggers and designers. Seriously awesome stuff. Chances are, if you need something, they have it, and you'll get great service to boot. 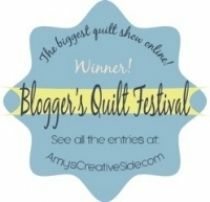 Fat Quarter Shop is also sponsoring giveaway number two! 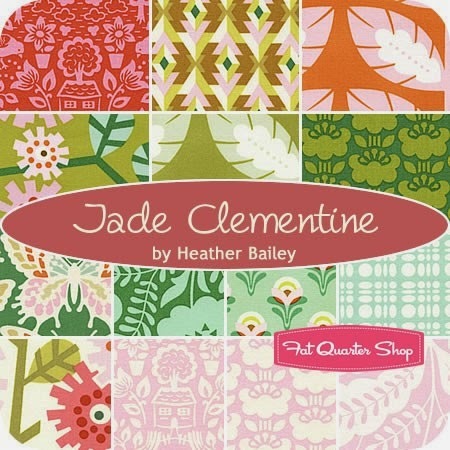 They are generously offering a fat quarter bundle of Clementine by Heather Bailey in the Jade color way. So, how do you enter both of these awesomely fantastic giveaways? Just leave a comment on this post and let me know what yummy fabric lines you've had YOUR eye on lately. 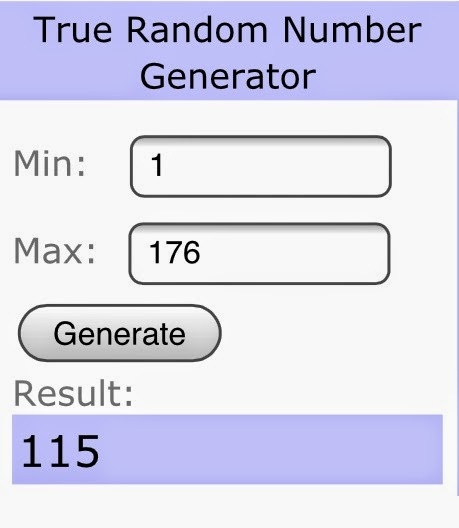 On Sunday evening, Mr. Random will help me pick the winners. Please, please, PLEASE be sure that I can contact you by email. 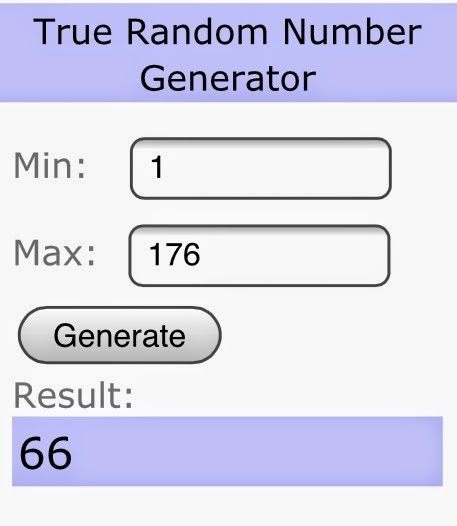 Good luck in the giveaways and happy shopping! *This giveaway has ended, but be on the lookout for more fantastic fabric deals and giveaways in May! I finally finished putting my snowball quilt top together last night and I am so happy with how it turned out. I wanted to do something a little different from a traditional snowball quilt, so I just started sketching and this is what I came up with. I used three different sizes of snowballs- 12 inch, 8 inch, and 4 inch, and constructed the quilt in sections. 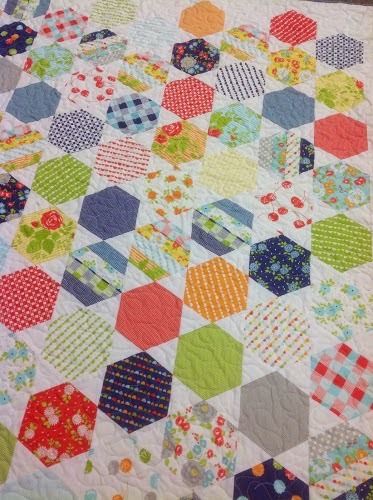 I like the way the snowballs "float" across the quilt, making it difficult to see where the sections are. I think when it is quilted the illusion will be even cooler, that's what I'm hoping for anyway. 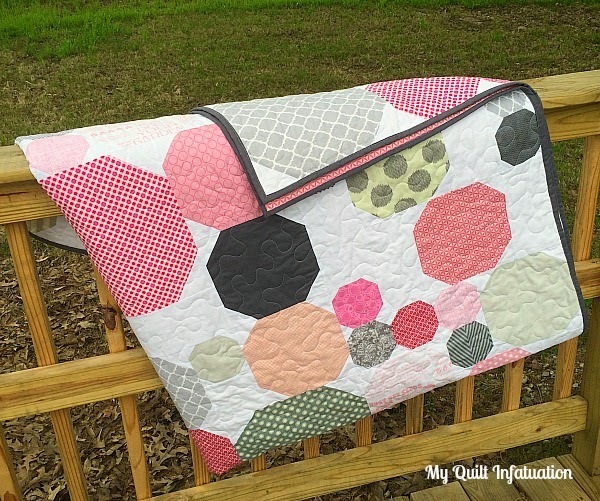 This quilt is destined for a twin bed that is part of a sweet nursery, all decorated in shades of pink and gray. I can't wait to finish it!